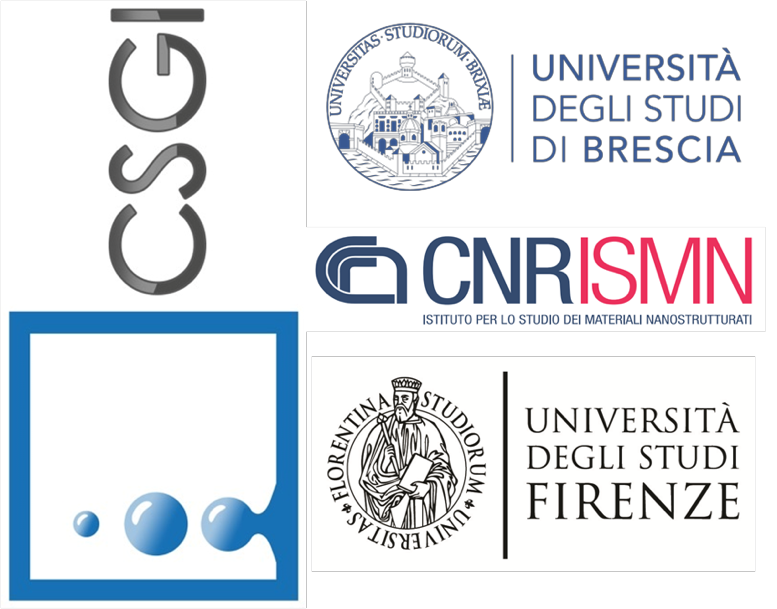 CSGI participates with its Brescia, Florence and Bologna units, who sum up relevant and internationally recognized skills are in Biological Surface Science, Clinical Chemistry and Soft Matter. Combining these expertise, the CSGI team has recently demonstrated the potential of a colloidal approach to EVs, and translated it into a powerful analytical tool. For the evFOUNDRY project, CSGI will team the know-how, facilities and equipment of the Physical and Clinical Chemistry lab headed by Paolo Bergese (Dep. 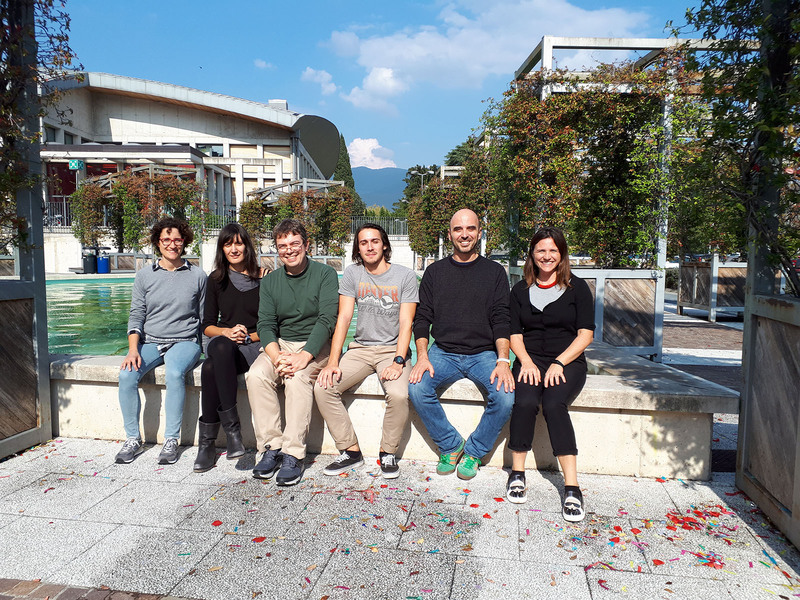 of Molecular and Translational Medicine, University of Brescia), of the Soft Matter and Nano Systems (SANS) lab headed by Debora Berti (Dept. of Chemistry Ugo Schiff, University of Florence) and of the Nanoscale Microscopy Facility SPM@ISMN headed by Francesco Valle (Institute for the Study of Nanostructured Materials, Consiglio Nazionale delle Ricerche, Istituto per lo Studio dei Materiali Nanostrutturati, CNR-ISMN). The Physical and Clinical Chemistry lab is multidisciplinary team featuring one of the first stories of integration of molecular biology with colloid chemistry and nanotechnology in EV research. Soft Matter and Nano Systems lab explores the interaction of nanostructured assemblies with model membranes, nanostructured fluids and biocolloids. Nanoscale Microscopy Facility SPM@ISMN holds a leading position in Scanning Probe Microscopy (SPM) applied to the study of soft biological matter in particular biopolymers, biomolecules, membranes and cells. CSGI will coordinate the project and the activities in WP1. CSGI will be responsible for: i) project coordination, ii) purification and biochemical characterization of EVs from cell lines; iii) structural and colloidal characterization of all the EVs featured in the project; iv) interaction of EVs with synthetic micro- and nanoparticles. C. Montis, V. Generini, G. Boccalini, P. Bergese, D. Bani, D. Berti, Model lipid bilayers mimic non-specific interactions of gold nanoparticles with macrophage plasma membranes, 516 (2018) 284–294. C. Montis, S. Busatto, F. Valle, A. Zendrini, A. Salvatore, Y. Gerelli, D. Berti, P. Bergese, Biogenic Supported Lipid Bilayers from Nanosized Extracellular Vesicles, Adv. Biosys, 4 (2018) 1700200–7. Montis C., Zendrini A., Valle F., Busatto S., Paolini L., Radeghieri A., Salvatore A., Berti D., Bergese P. Size distribution of extracellular vesicles by optical correlation techniques. Colloids and Surfaces B: Biointerfaces. 2017; 158, 331. doi: 10.1016/j.colsurfb.2016.05.044. Paolini L., Zendrini A., Di Noto G., Busatto S., Elisabetta L., Radeghieri A., Dossi A., Caneschi A., Ricotta D., Bergese P. Residual matrix from different separation techniques impacts exosome biological activity. Scientific Reports. 2016; 6, 23550. doi: 10.1038/srep23550.